Thu., 22 Aug. - Tue., 10 Sep.
Wed., 29 May - Tue., 11 Jun. Thu., 22 Aug. - Fri., 6 Sep. Sun., 2 Feb. - Mon., 2 Mar. Tue., 1 Oct. - Thu., 17 Oct. Thu., 9 May - Sat., 7 Sep. Sun., 13 Oct. - Mon., 4 Nov.
Wed., 16 Oct. - Mon., 4 Nov. Tue., 15 Oct. - Thu., 24 Oct. Tue., 5 Nov. - Thu., 14 Nov. Tue., 26 Nov. - Sun., 15 Dec. Mon., 2 Mar. - Wed., 4 Mar. Mon., 21 Oct. - Thu., 31 Oct.
Wed., 23 Oct. - Wed., 26 Feb. Sun., 3 Nov. - Sun., 10 Nov. Mon., 26 Aug. - Mon., 16 Sep. 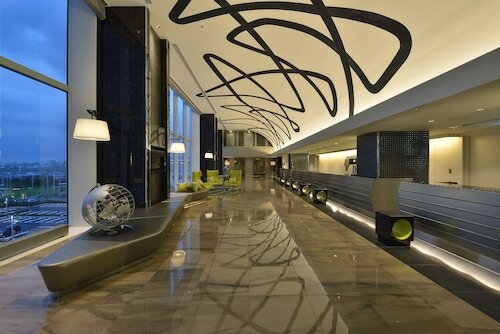 Located in Ota, this hotel is within 12 mi (20 km) of Toyosu Market, Tokyo Tower, and Tokyo Midtown. Yokohama Cosmo World and Tokyo Imperial Palace are also within 16 mi (25 km). Located in Ota, this hotel is 0.1 mi (0.1 km) from Tokyo Bay and within 9 mi (15 km) of LEGOLAND Discovery Center Tokyo and Joypolis. DiverCity Tokyo Plaza and Zepp Tokyo are also within 9 mi (15 km). Haneda Airport Terminal 2 Station is only a 4-minute walk and Haneda Airport Terminal 1 Station is 8 minutes. Located in Tonomachi, this hotel is 10.9 mi (17.6 km) from Toyosu Market and 12.4 mi (20 km) from Landmark Tower. Yokohama Cosmo World and Tokyo Tower are also within 16 mi (25 km). Yokohama Kojima Shinden Station is 27 minutes by foot. Located in Ota, this hotel is 0.1 mi (0.1 km) from Tokyo Bay and within 9 mi (15 km) of Tokyo Big Sight and Toyosu Market. LEGOLAND Discovery Center Tokyo and Joypolis are also within 9 mi (15 km). Tokyo Anamoriinari Station is only a 4-minute walk and Tenkubashi Station is 9 minutes. 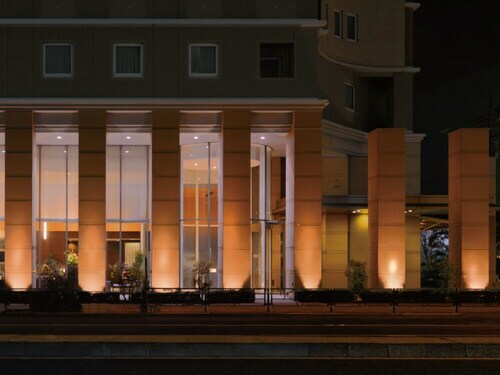 Located in Ota, this hotel is 0.1 mi (0.1 km) from Tokyo Bay and within 9 mi (15 km) of Tokyo Big Sight and Toyosu Market. LaLaport Toyosu Mall and KidZania Tokyo are also within 9 mi (15 km). Tenkubashi Station is 6 minutes by foot and Tokyo Tenkubashi Station is 7 minutes. 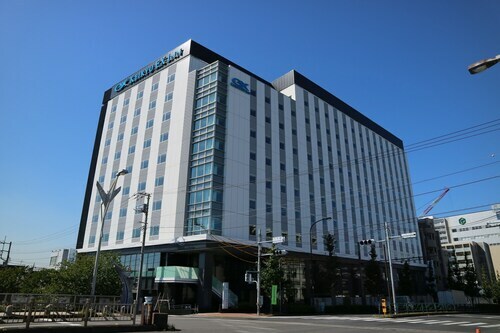 Located in Ota, this hotel is 0.1 mi (0.1 km) from Tokyo Bay and within 9 mi (15 km) of Tokyo Big Sight and Toyosu Market. LaLaport Toyosu Mall and LEGOLAND Discovery Center Tokyo are also within 9 mi (15 km). Tokyo Anamoriinari Station is only a 4-minute walk and Tenkubashi Station is 10 minutes. 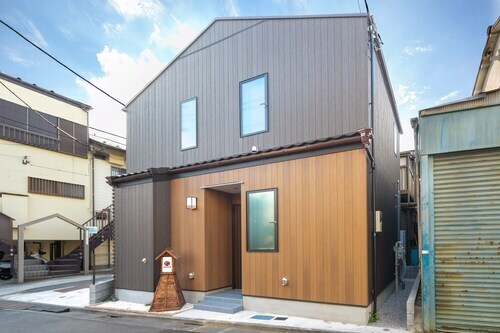 Located in Ota, this hotel is 0.1 mi (0.1 km) from Tokyo Bay and within 9 mi (15 km) of Tokyo Big Sight and Toyosu Market. LEGOLAND Discovery Center Tokyo and Joypolis are also within 9 mi (15 km). Tokyo Anamoriinari Station is 6 minutes by foot and Tokyo Otorii Station is 9 minutes. Question : How much is a plane ticket to Tokyo (HND) from Toronto (YYZ)? Answer : They can vary anywhere from $910 to $8,276. Booking in advance can normally help you get the cheapest ticket. However, usually the sooner you book, the better price you get. Answer : Yes, you can adjust your departure or arrival date. If you wish to save a little cash in doing so, the cheapest day to fly in April is Monday. Being flexible with your travel days can provide you extra savings when booking. Question : From Toronto to Tokyo, which day of the week is going to have the most flight times? Answer : Saturday has the greatest variety of flight times for Toronto to Tokyo with two. With 1,265 different times, Thursday provides the most options on average across all flights departing Canada. Answer : The cheapest day to fly from Toronto to Tokyo is on Monday. If you would like to save a little cash on your next trip look for flights on that day. Question : What is the cheapest airline flying from Toronto to Tokyo? Answer : Delta Air Lines is offering the best deal at $910. Better look quickly because prices range all the way up to $8,276 over the next three months. Question : Which airline has the least delays from Toronto to Tokyo? Answer : Air Canada holds the best record for flights from YYZ to HND with a 63% on-time rate. Note that if they do have a delay, it usually lasts over half an hour. Question : How long does it take to fly from Toronto to Tokyo? Answer : On average, the flight time from YYZ to HND is 13 hours and 23 minutes. Remember, there is a time change of 14 hours. Flights from Calgary Intl. to Philip S. W. Goldson Intl. Flights from Pierre Elliott Trudeau Intl. to El Dorado Intl. Flights from Pierre Elliott Trudeau Intl. to Jorge Chavez Intl. Flights from Calgary Intl. to Rafic Hariri Intl.